Herbal extracts are very popular to most people because they support the body’s natural healing in many illnesses. 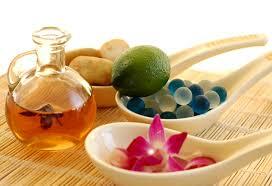 Herbal extracts became popular because they are cheaper and are most of the time available at no cost. your backyard and may pick all you need. It is surely affordable compared to those remedies that you buy from many drug stores and markets. It is much better, before trying any herbal remedy, to ask the advice from health professionals. For instance, your problem is loss of hair, you have to see a doctor to verify the real cause of your hair loss problem. The doctor would then advise you the necessary thing that you may do. He will examine your scalp and advice you to undergo some laboratory procedures and prescribe medicine if you need them. It is important to see a doctor for you to know the real cause of your hair loss. It might be because you may have a serious illness like cancer. A patient with cancer after undergoing chemotherapy automatically suffers from hair loss. Losing hair is an issue that adults should worry about. Hair loss may also result from an imbalanced diet or any inappropriate hair styling. Most people believe that herbs can do wonders in healing any illnesses. A lot of people rely on using these herbal medicines for treating their illnesses because, as they say, they are far cheaper compared to artificial medications that are sold in the markets. There are lots of benefits that we can get from the extracts of herbal plants. Thousands of medical companies nowadays are doing researches and are producing herbal capsules. Herbal extracts, such as ginkgo biloba, are believed to improve blood circulation. Experts believe that these extracts increase in blood circulation to the brain area and deliver nutrients to hair follicles which promote hair growth. Green tea and pygeum extracts have almost the same uses which help prevent and treat baldness among males. Saw palmetto is popular in slowing hair loss and encourages hair regrowth. It is also proven to protect men’s prostates. Stinging nettle also helps prevent hair loss because it has the ability to block conversion of testosterone into DHT. It is much more effective when combined with saw palmetto and pygeum. 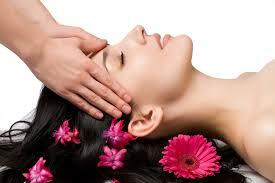 There are still many other herbs that we may use in making our hair beautiful and radiant. We may do some further research with more herbs and ask experts if those herbs are really effective and are applicable to your hair. There are certain herbs that are not allowed to be used by pregnant women because they may be harmful to them and their babies. The best way to protect hair from any damage is by using all-natural hair products. You may use gentle formulated shampoos like of the ones that are usually recommended for babies. As we all know, the sun produces heat that may damage hair, so you should avoid exposing your hair too much with sunlight. Over exposure to sunlight will make your hair dry and damaged. You may use hat to protect your hair if you really need to go out on a sunny day. Take good care of your hair; allow it to shine beautifully for you to stand out in the crowd.